Empower RF has broad experience delivering high power GaN amplifiers into mission critical applications and was a very early adopter of GaN on SiC.. Although Empower has many product lines encompassing state-of-the-art Bipolar, MOSFET, LDMOS and GaAs FET devices, GaN has become the marquee technology for TWT replacement and other applications where improvement of SWaP is desired. The key characteristics that makes Gallium Nitride an enabling technology is its significantly higher power density and greater reliability. GaN's increased power density (W/mm) has enabled Empower to reduce power amplifier sizes, minimize cooling and heat-sink demands and package more power per given volume. 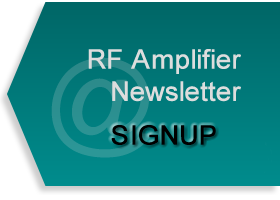 With the increased efficiencies that GaN provides, Empower RF delivers more reliable, smaller and lighter broadband power amplifiers. GaN -more specifically GaN on SiC -provides higher output power, longer pulse widths, and larger duty cycles and significantly higher MTTF than GaN on Si, GaAS HEMT, LDMOS, and MOSFET high power transistors.